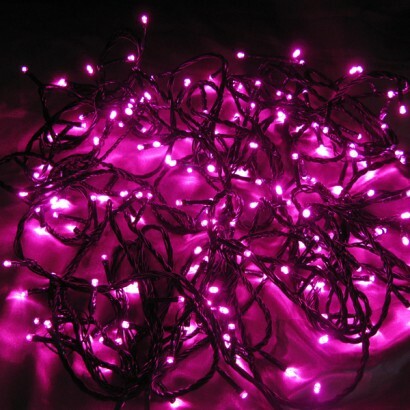 These LED string lights are covered with bright pink LED’s. 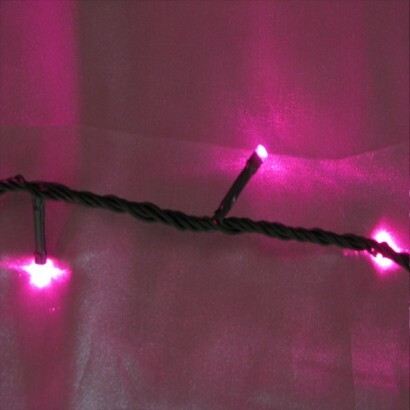 Perfect for creating magical lighting effects throughout the home and garden, they are ideal for parties, weddings, festive celebrations or just to add a pretty glow all year round. Eight light modes enable you to constantly change the look of your decorations, and include twinkling, slow fade and chaser options, amongst others. 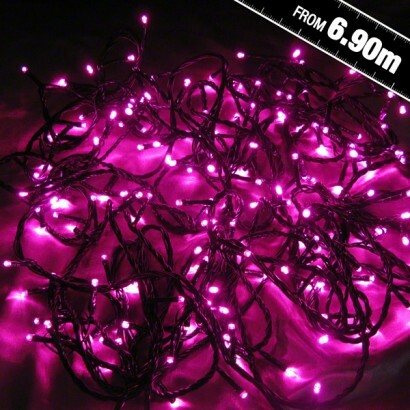 I bought the 200 string lights, they are fantastically bright pink, good quality, delivered quickly, I highly recommend. The lights are stunning. Ive used them to make a lamp out of a hand cut miraval bottle. It is stunning. Everyone is raving about it. Thankyou. Will be ordering more. Cheers. The lights look beautiful and really light up a room. Incredibly eye-catching and everyone loves them.